Jelly Splash is a popular game on Facebook along with Android and iOS platforms. Here are some Jelly Splash cheats and tips to help you move faster up your track on the game! Always start removing jelly from the bottom of the board and then work your way up. Especially if you have darker jelly. This trick though wouldn’t be of much help when there are mushrooms or slime guards on the top. It is important to be good at making friends if you want to get ahead in Jelly Splash. Have a few who would be of much help after level 43. Give them some incentives so they supply you with free lives too. One cheat to get free lives is set the time ahead on your Android / iOS phone half an hour for each life you need. When set back, your free lives will be gone and recovery time will go back to normal. The best Jelly Splash cheat is to plan well! Like in any other game. Try to plan and finish any level with as few moves as possible since it forms larger chains. Go for the biggest combos of jellies to conserve your moves. This also cause more jellies to appear. Bigger the combo you make, more likely to get super jellies. If you have to free a jelly and a ray of special jellies hits that one, it will be counted as five jellies. Remove the mushrooms with utmost priority. Super jellies are more useful for dark jelly stages as these are very easy to beat. The spot of the screen you tap on is the starting point from where the jelly starts to destroy. 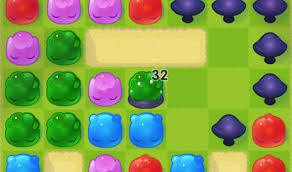 If you get the two super jellies of same color in one row, rows above, below, right and left will all be eliminated! Hope these jelly splash cheats and tips help you out. Don’t forget to share your little tricks with us! 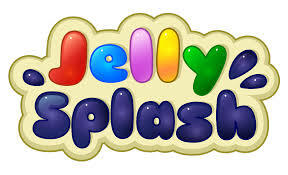 Google Play Store download link for Jelly Splash.